This album was nominated for a GRAMMY in the Latin Jazz category! Jazz Tango is the latest marvelous album by Latin GRAMMY Award winning composer, arranger, and virtuoso pianist Pablo Ziegler, who is the world’s foremost practitioner and exponent of the Nuevo Tango musical form, having learned its mysteries and nuances from the source. In the 1950s, the legendary Astor Piazzolla began infusing the firmly entrenched, classic tango style of the day with new harmonic and melodic sensibilities, as well as incorporating modern instruments into the traditional tango ensemble, and thus was gradually born what became known as Nuevo Tango. In 1978, the maestro hired fellow Argentinian Ziegler as his regular pianist, who picked up the Nuevo Tango torch when Piazzolla retired eleven years later and has carried it without abandon ever since, while at the same time contemporizing the genre by adding his own jazz and improvisational touches. While Ziegler may have started his career as one of Piazolla’s acolytes, he has become one of the leading lights of this art from  a veritable grandmaster. Quite simply, there is nobody like Ziegler. He is in a league by himself. 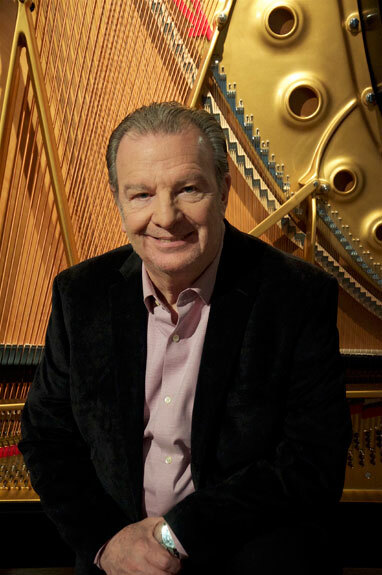 As a pianist, Ziegler’s unique style and broad range have led to comparisons with the disparate likes of Vladimir Horowitz and Bill Evansno surprise given that Ziegler began creating colorful jazz arrangements for classical music when he was only eighteen. You can hear the classical influence quite clearly in all of his work, though in keeping with the rhythmic requirements of Nuevo Tango, he just as clearly plays the piano like the percussion instrument that it is. That he can navigate the classical and jazz worlds so seamlessly is a demonstration of how Ziegler is able to absorb material from multiple sources and create something wholly new. Since 1990, Ziegler has appeared as guest soloist in numerous orchestras around the globe. Two stirring examples have been released on CD by the ZOHO label: Amsterdam Meets new Tango with the Metropole Orkest, Amsterdam (ZOHO ZM 201307) in 2013, and Sax To Tango, his collaboration with saxophonist Julio Botti and the University of Southern Denmark Symphony Orchestra (ZOHO ZM 201607) in 2016. 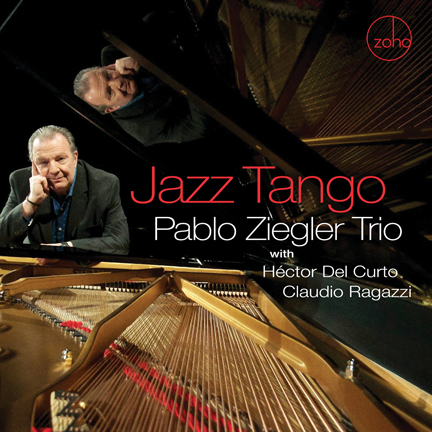 Both of these albums have achieved nominations in the Tango category at the Latin Grammys, as have Ziegler’s other three ZOHO releases as a leader or collaborator with Julio Botti. His first ZOHO CD release Bajo Cero (ZOHO ZM 200504) even won the Tango category Latin Grammy in 2005! Ziegler has continuously explored the musical contours of traditional, Nuevo, and Neo tango forms, recording and touring internationally with his own duo, trio, quartet, and quintet ensembles. He has performed this type of music in almost every conceivable format, combination, and permutation. Suffice it to say that there is nobody on the planet more artistically attuned to tango as a musical style than Pablo Ziegler, and this live trio album, featuring Hector Del Curto on the bandoneonthe accordion variant made famous by Piazzollaand Claudio Ragazzi on guitar, reveals the many faces of the genre in exquisite detail. With its brisk and vigorous tempo and cascading melodic structure, the opening track Michelangelo 70, composed by Piazzolla, provides an exhilarating and breathless introduction to the Nuevo Tango sound. The title pays twin homage to the famous Michelangelo tango club in Buenos Aires, where so much of the genre’s history was written, and to the year 1970, when Piazzolla decided to leave for Europe. It’s as if Ziegler is inviting us back in time, into a once-hopping club, in which he will write the next chapter of Nuevo Tango that we hear so lushly rendered on this album. The opening track sets the frame of what’s to come: thoughtful compositions performed with blinding talent. There is a word for Ziegler’s music: wow. La Fundición or “The Foundry,” is a Ziegler original that he describes as “the dissolution of metals expressed by the fusion of music,” and indeed, it instantly and dramatically conjures up the mechanized heartbeat of a factory full of pounding machinery. The repetitive and building lines undulate from pianissimo to fortissimo, tugging relentlessly, until a space opens up for an elegant piano solo evoked by Ziegler’s magical touch. The wistful, stately, and haunting Milonga del Adiós is Ziegler’s own musical farewell to Piazzolla, composed shortly after the maestro’s death. It’s both searing and enchanting, capturing Ziegler’s affection towards the late great maestro. Buenos Aires Report, also composed by Ziegler, is an impressionistic tango riff on a news report emanating from the chaotic urban soul of the city. The pulsing left hand line conveys the frenetic and all-consuming energy found across the sprawling metropolis of this great Latin American city. Pablo Ziegler. Photo: Melanie Futorian, 2017. Ziegler’s twinkling piano solo radiates beautifully through a higher register. Blues Porteño demonstrates the adaptability of Nuevo Tango, as well as the impressive ease with which Ziegler straddles two distinct musical styles while remaining true to both. While this composition may be slower and calmer, it’s no less lively, stirring blues tonalities with powerful affect and ardent emotions. Fuga y Misterio, a Piazzolla composition from his epic tango opera “Maria de Buenos Aires,” is both a musical episode in the original work and a subtle acknowledgment by Piazzolla of the contrapuntal debt of gratitude he owed to Johann Sebastian Bach. Ziegler’s Elegante Canyenguito playfully invokes the image of a nattily dressed, old school tango aficionado striding with confidence toward the dance floor and letting loose to much fanfare. On La Rayuela, Ziegler uses milonga, a proto-tango musical style first popularized in the 1870s, to express the rhythmic essence of hopscotch, with breathtaking results. Muchacha de Boedo is another intensely atmospheric cultural portrait, this time of a typical young lady from the Boedo neighborhood in Buenos Airesa tango epicenterstrolling along its tree-lined streets. The album concludes, appropriately enough, with Piazzolla’s classic Libertango which symbolized his breaking free from the structural confines of traditional tango and luxuriating in the greater rhythmic and melodic freedom of Nuevo Tango. While this song is the most recognized tango tune in the world, Ziegler always begins his performances of this classic with a unique introduction in which he puts his own stamp. By the time the melody kicks in, you almost forget you are listening to such a foundational song to tango tradition. This song captures the very soul of the genre, and the recording as a whole is a testament to Pablo Ziegler’s brilliant musicianship and his mastery and broadening of Piazzolla’s musically expansive vision. Ziegler has raised the bar once again with this album, with his own genre-defining compositions and fresh renditions of familiar classics. No doubt, it’s a joy to listen! Recorded in 2015. Engineer, Mastering: Oscar Zambrano, Zampol Productions. Producer: Kabir Sehgal. Liner Notes: Kabir Sehgal. Photography: Melanie Futorian (CD cover, CD folder), Sergio Reyes (outer traycard). Package Design: Al Gold. Executive Producer: Joachim “Jochen” Becker.